Whether you’re moving into a new home or remodeling a room or two in a home you’re already in, decorating can be an opportunity to tap into your creative side. Maybe you already know your design style — you’re strictly into a modern look or you’re a lover of traditional styles. 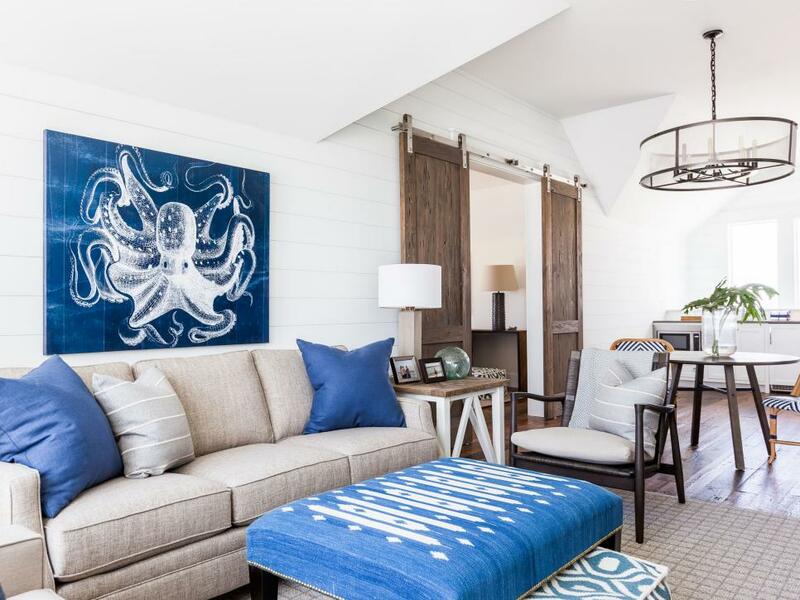 Even so, it never hurts to bone up on what the latest interior design and decorating trends are to see if you might want to incorporate one or more of them into your interior scheme. Here’s a pop quiz: When you think of the 70s in terms of color, what comes to mind? If you said orange, you score an A+. Various shades of orange were evident at this spring’s Salone del Mobile furniture show in Milan. Think mango, coral, and the orangey-yellow hue that’s on the inside of an acorn squash, and you’re on the right track. Indulge in (Even More) Color! 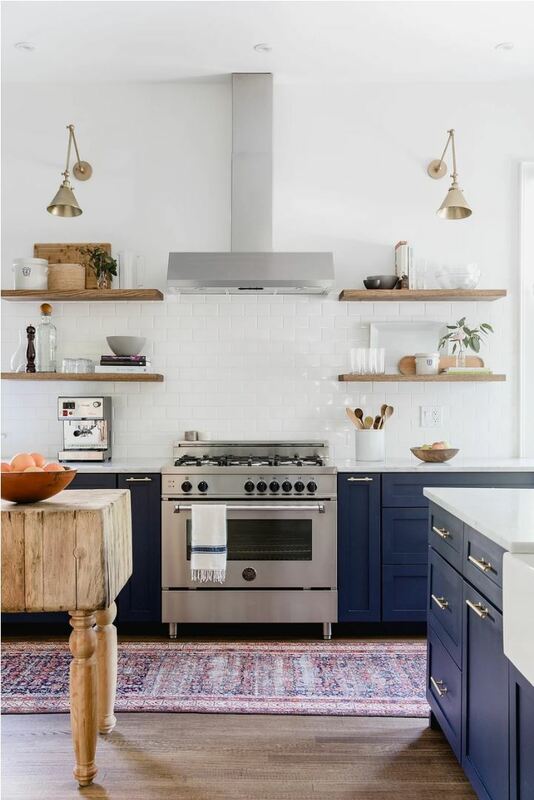 According to the design experts at HGTV, 2018 will be all about “saturated color”, a trend that began in 2017 but is expected to continue this year in a “bigger” way. 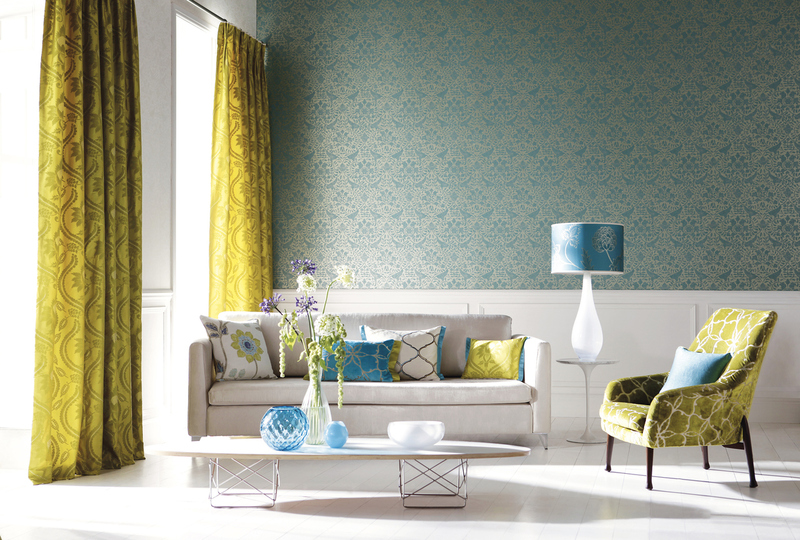 Blues will be especially popular, especially rich blues that have a lot of impact. 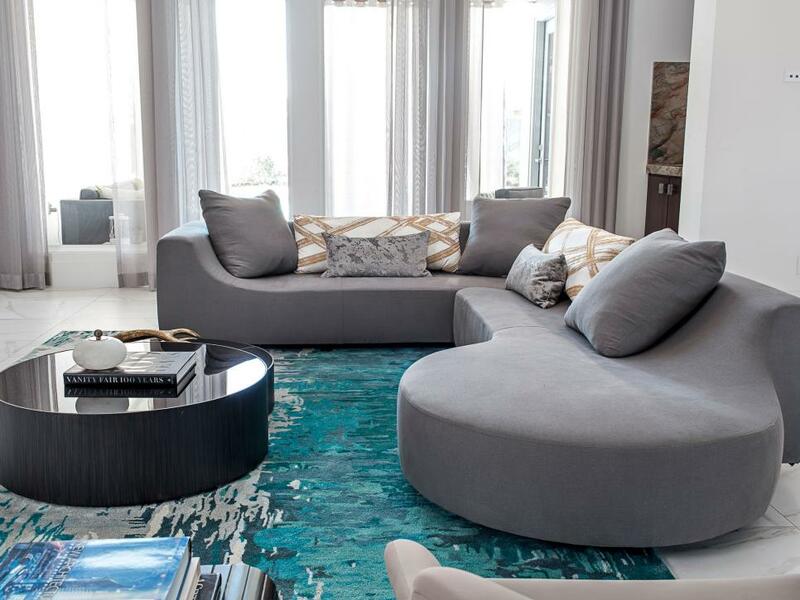 According to designer Nina Magon, we can expect to see an “influx” of curvy, organic shapes this year in everything from sofas and armchairs to area rugs. Rice paper lamps, and folding screens were among the East Asian influences also seen at the Salone del Mobile show in April. Another uniquely Japanese-inspired trend is the concept of Wabi-Sabi, which designers at House Beautiful predict will be big this year. Wabi-Sabi is all about learning to see the beauty in imperfection. Imagine a slightly rumpled bed rather than one that’s perfectly tucked and primped, and you’ve got the idea. Life isn’t perfect, and neither do our homes need to be. Casual and slightly imperfect is “perfectly” okay. Think patinas, frayed edges and fading. The focus is casual and calm. Is the granite countertop phase nearing its end? Maybe. Designers are touting high-contrast marble countertops in kitchens for 2018, and it’s easy to see why. Bold veining makes quite a statement, as evidenced in this dramatic, statement-making kitchen. According to designer Christopher Grubb, people are having “stainless steel fatigue”. The result? Paneled appliances that blend in with the cabinetry. One of the hottest trends in bathrooms for 2018 won’t cost you an “arm-and-a-leg”. Replacing fixtures with matte black faucets and shower heads provides an instant and budget-friendly update that’s trendy and classic at the same time. Another trendy way to update your bathroom without a complete overhaul? Adding art (framed and sculptural) that contributes to a serene environment in the bathroom. There’s something for everybody in this year’s biggest interior design and decorating trends, so roll up your sleeves and have some fun! Wallpaper is back! Last year, it was all about florals, but this year it’s everything from “mod” to abstract designs that resemble brushstrokes. You’ll see it everywhere from bathrooms to living rooms to bedrooms.